Seen parts of this film once before. 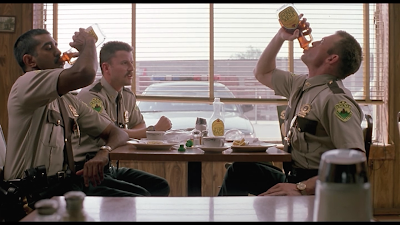 maple syrup chugging contest while Mac (Steve Lemme) spectates. The stoners get busted for possession of drugs. The Vermont state troopers are in competition with the local police. 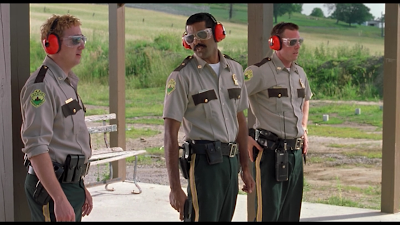 While the state troopers enjoy joking around, things begin to get serious when they're looking to be shut down. Matters escalate between the troopers and local police over an impeding drug bust. Meanwhile, Foster, one of the troopers, hooks up with Ursula, a female officer in the local police department. Will this relationship work out? And what will happen to the fun-loving state troopers? Well... you won't find the answer here. Grady: I'm sorry about that delousing. Just standard procedure. Grady: The lice hate the sugar. 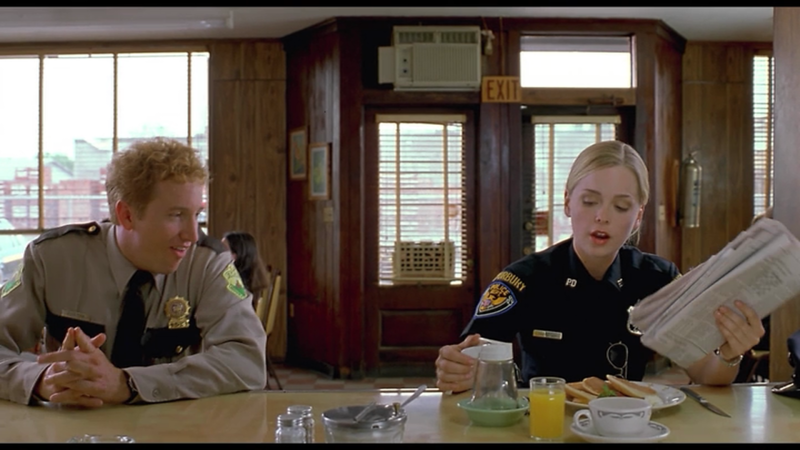 The first time I watched this movie, the first ten or fifteen minutes were quite strange and I think it's important to note that the remainder of the movie is more grounded, though just as funny. Overall, this movie has some good laughs and was enjoying to watch. Ursula and Foster meet in secret as "bikers." 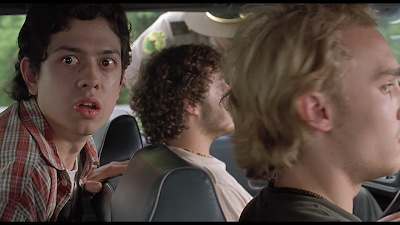 There are several scenes of the troopers partying with the stoners that play during the credits. There's also footage showing Farva's incident with a school bus. After the credits end, Farva is shown vomiting into a toilet. The boys test out some new equipment.